The end of 2016 meant not only the end of the year but also the end of one whole chapter – the exhibition of the Slavic Epic by Alphonse Mucha in the Prague National Gallery, which was launched in 2012. Large size paintings are making their journey to the far away Japan right now. They will be available for visitors in Tokio between March and June 2017. 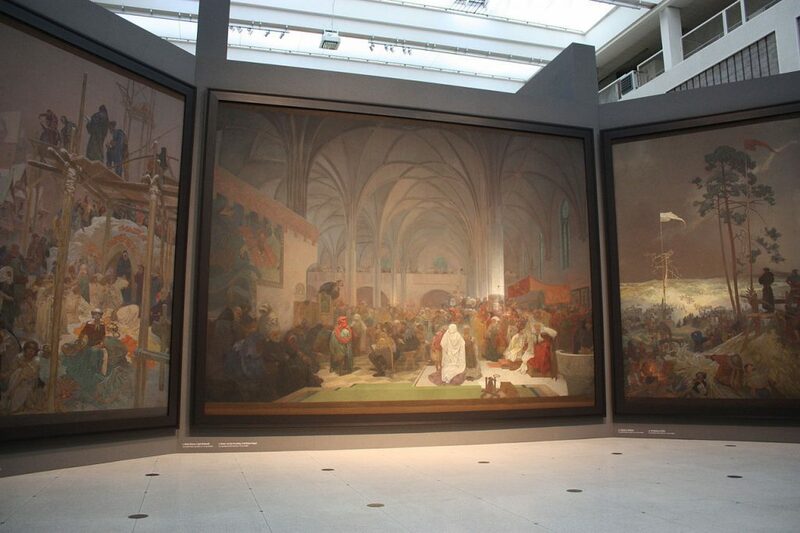 During the whole time of the exhibition in Prague, a total of 380 000 people paid a visit to the Slavic Epic. For people like me, who like to boast about any world-known artist with a feeling, as if the genius belonged to our own child, the temporary removal of Slavic Epic exhibition is a highly tragic event. However it is important to keep in mind, that for Mucha lovers, Prague has still plenty to offer! If you want to admire Mucha’s works, there are several places which are a must visit in Prague for you! While being immersed in deep prayers in the St. Vitus Cathedral of the Prague Castle, one of the major Prague tourist attractions, your spiritual experience (somewhat obscured by a huge portion of duck with dumplings and sauerkraut accompanied by Pilsner bier which you consumed just now in one of the many local pubs) can be deepened by the very look at the glass window designed by Alphonse Mucha between the years 1928-1930, depicting the dawn of Christianity in Czech lands. 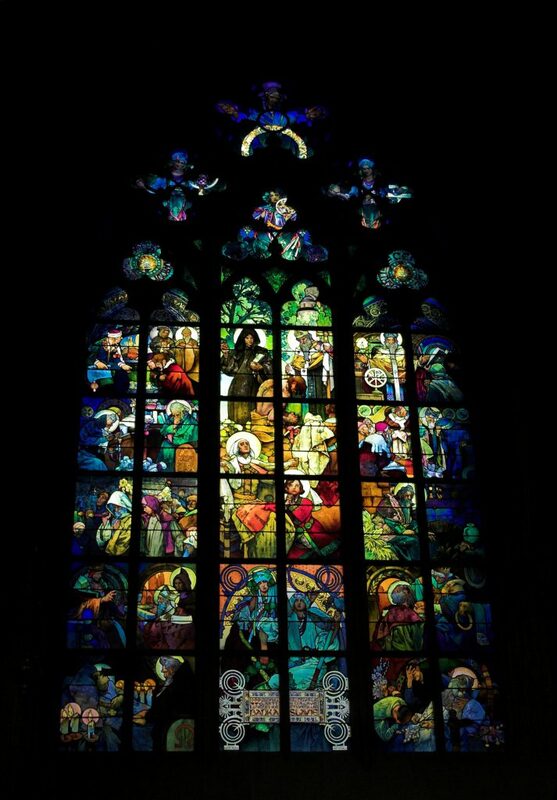 The window became one of the most popular artifacts in the Cathedral. But don´t let your spiritual experience to get spoiled by the potential tour guides in your surroundings having a Prague castle tour, telling people something about murders- that is probably only our first baptized duchess Ludmila killing her daughter Drahomíra, or maybe Ludmila’s grandson king Václav being killed by his younger brother. We all have our little faults! For those of you who would rather prefer traveling to the past instead of prayers, there is Alphonse Mucha museum in the city centre. You can even book a guided tour there (at least a week ahead). 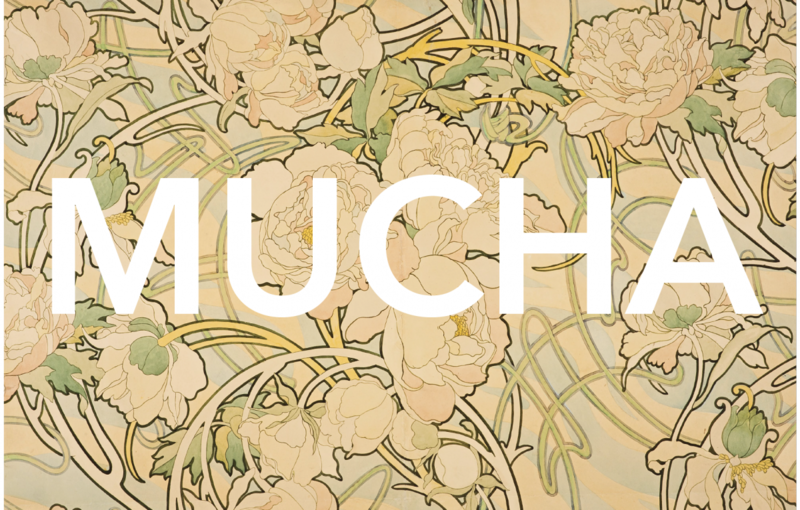 You can find there most importantly the exhibition of Mucha’s works from his Paris period. This period was the one, when Alfonse Mucha became famous artist for the first time. 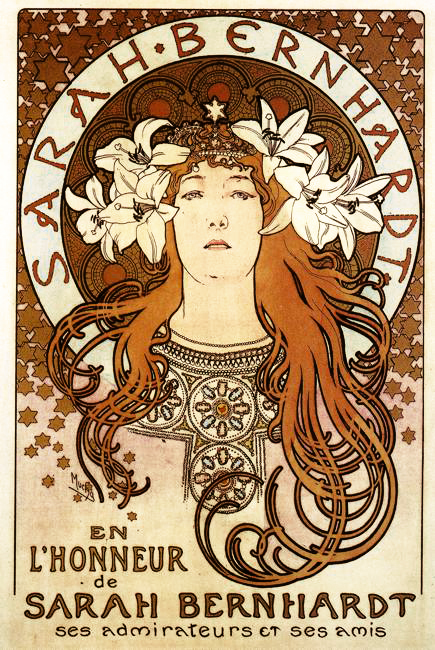 It was for his posters painted for a theater star Sarah Bernhardt. While admiring the works of “the king of art nouveau” there is one important detail to keep in mind. Mucha wasn´t one of those who would create their art works under the motivation in form of golden coins in their pockets and would blindly follow the customs or trends of that time. High art was available only for the richest people and therefore the highest esthetic experience of an average citizen at that time was probably the entrance sign of the factory gate, where he or she worked. Commercial posters were conventionally without any taste and kitschy (from my own experience I must admit, that for attention drawing it really works well). Mucha however, as one of the first people created posters as artistic works and the time he spent with creating them was also no different from a real painting. In this way he gave the opportunity for common people to enjoy art on the street, the kind of art for which you had to spend astronomical sums of money in that time. Some people might call this casting pearls before swine, but I am on the opposite delighted that thanks to people like Mucha, I can visit my favourite exhibition in the 21. century, because even the world leading authorities have realized, that even though a human being is only a mere workforce for them, catalyzing economic growth, in order to boost their productivity and ensure their compliance, it is necessary to fulfill their psychological needs, which were scientifically proven to exist. Back to Mucha though. Another aspect of this extraordinary artist was his nationalism. The proof for his love of motherland is not only the Slavic Epic (he created it for 24 years), but also the decoration of the Mayor room in the Municipal house. The Municipal house was built in the year 1912. It was one of the most important buildings for the Czech nationalist movement. For the decoration of the Mayor room Mucha didn´t accept any monetary reward, as a sign of solidarity with Czech artists. In that time in most of the public places in Czech the only language was German as we were part of Austrian-Hungarian Empire. 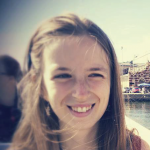 The Czech language started to fade. The Municipal house was therefore intended as a gathering place for Czech artists and all performances were conducted only in Czech language. The Municipal house played also an important role in our independence. 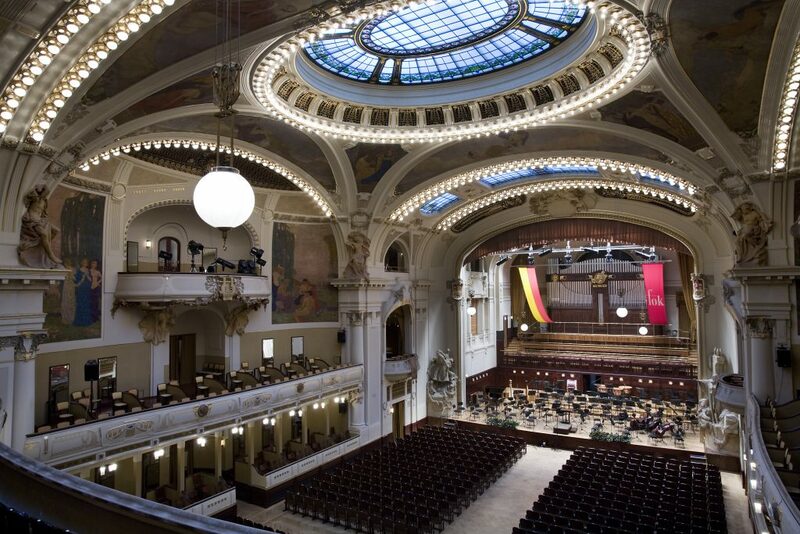 In the year 1918 the independent Czechosklovakia was announced by our first president Tomáš Garrique Masaryk from the balcony of the Municipal house and with that event, Czech became an independent state after almost 400 years. It was no coincidence that it was the Municipal house where our independent state was announced. In the place of the house used to stand the Royal palace, where the last king of Czech origin- Jiří z Poděbrad use to rule in the 15th century, not long before Czech lands became part of the Austrian-Hungarian Empire. In the Municipal house decorated wholly in art nouveau style, you can enjoy the magic atmosphere of local restaurant or visit the most prominent classical music concerts in the Smetana hall of the first floor. However even the missing Slavic Epic doesn´t leave the womb of Prague for too long. Already now the city authorities are searching for a place to exhibit Slavic Epic after its return form world tour. 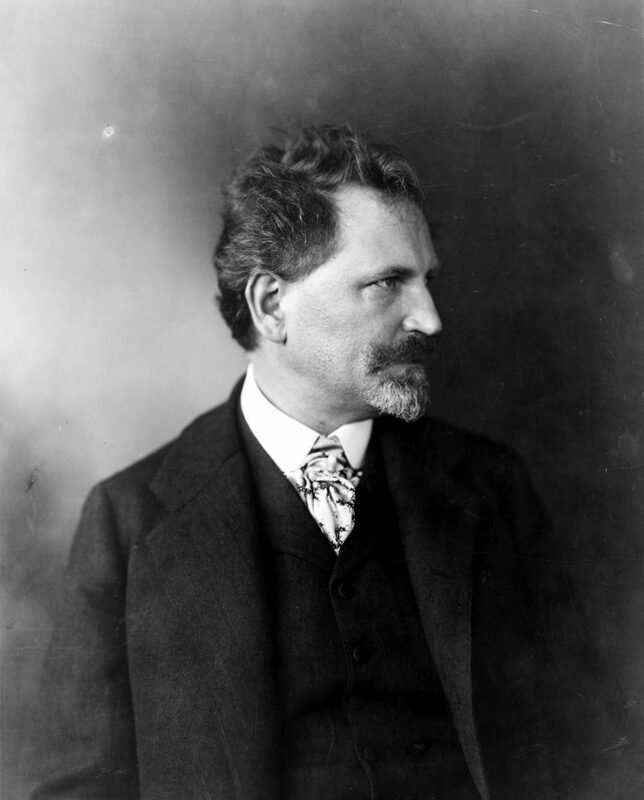 After all Mucha also returned to Prague in the end after his stay in France and America. It is in the human nature to thrive for exploring new worlds and broadening horizons during long journeys to tropical lands with the feeling of courageous missionary gaining spiritual knowledge. However it is only after I return home and see hundreds of cute towers under the curtain of tender mist that I realize that no matter what adventure I experience, no matter what place I go, there will always be plenty of fun things to do in Prague! Next Next post: Today’s topic is breakfast, so dig in!